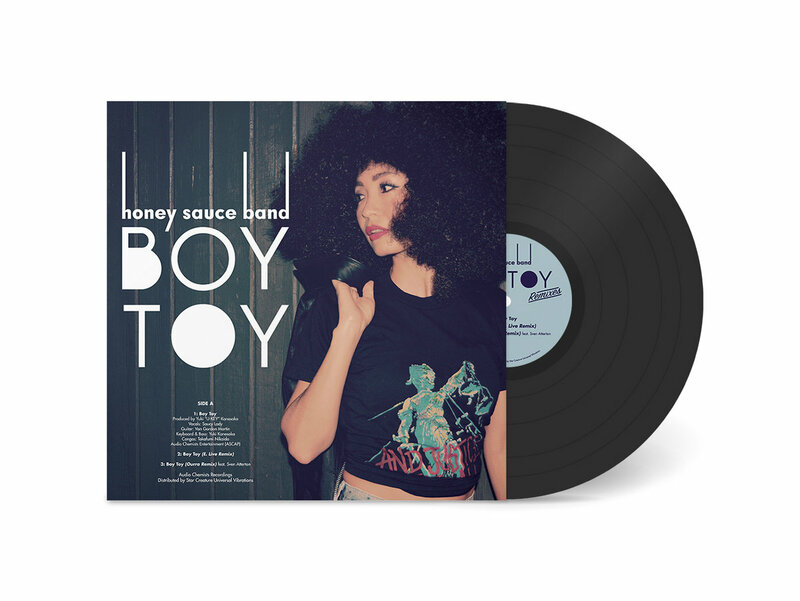 Honey Sauce Band's should have a familiar ring for those keeping up with the modern funk and disco scene - 5 tracks crossover banger for all scenes and vibes. 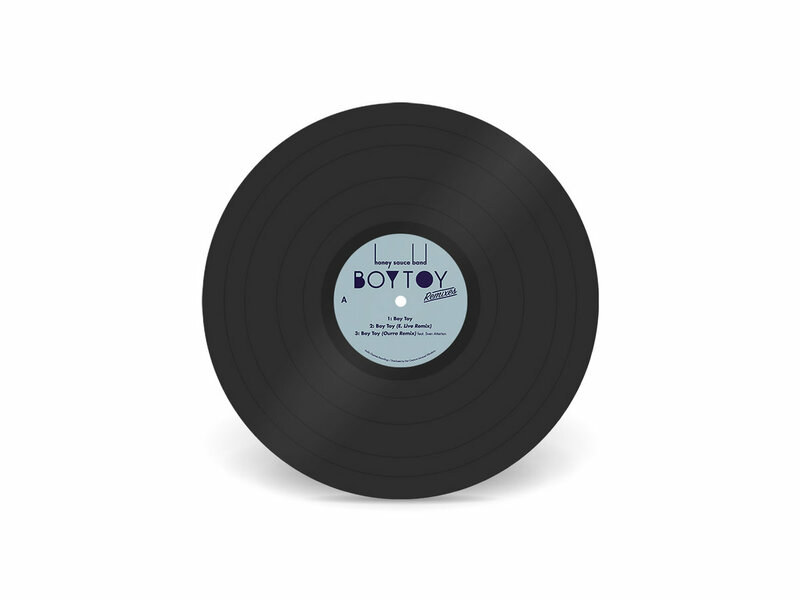 "Boy Toy" has been making it's rounds on both coasts in form of a test press and accompanying video of it smashing the dance floor at a Funk Freaks party in SoCal. Following the original track, a couple of banger remixes from Star Creature fam E-Live and Ourra that carry Saucy Lady's lyrics into cosmic boogie heaven. 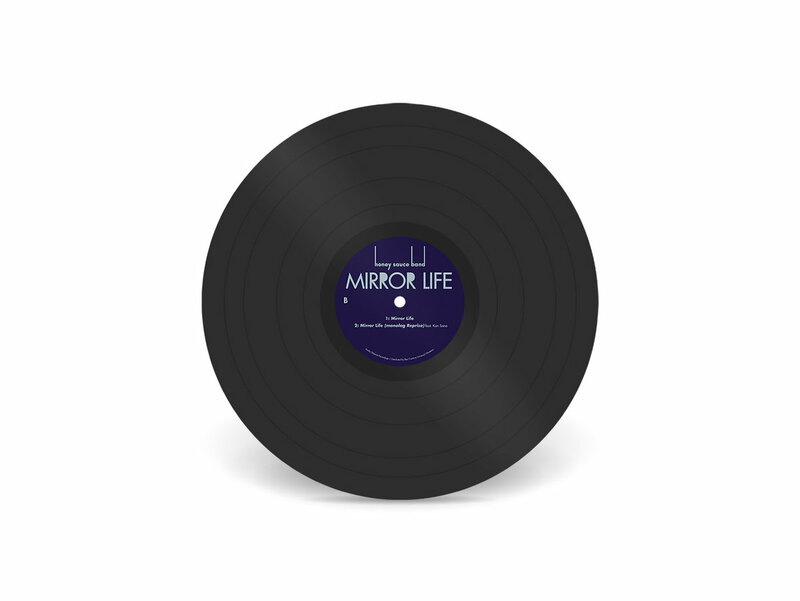 The flip side features "Mirror Life" and its remix both produced by Yuki "U-KEY" Kanesaka, the mastermind behind this band's scintillating live soundscape. 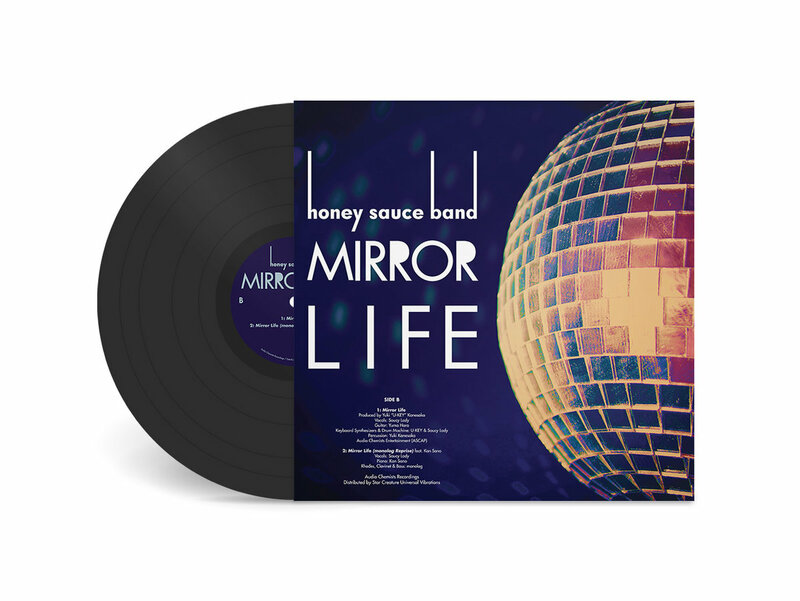 "Mirror Life" is an ode to the disco ball reflecting on the movements on the dance floor, a presence much like the "sun" shining over the revolving earth. 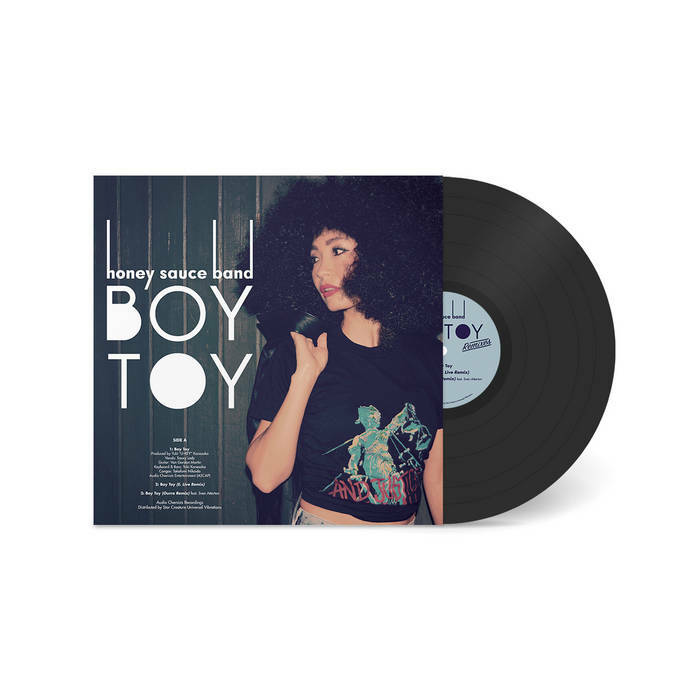 The track's remix features Kan Sano (Razor-N-Tape) on piano, while the breakbeat sample on the drums offer that dirty funk that'll guarantee a b-boy cypher on the dance floors worldwide. Released on Saucy's own Audio Chemists label and distributed by Star Creature. Includes unlimited streaming of Boy Toy b/w Mirror Life EP via the free Bandcamp app, plus high-quality download in MP3, FLAC and more.